The stage is set for the 2017 Courts Interdistrict Championship to be staged at Churchill Park, Lautoka. 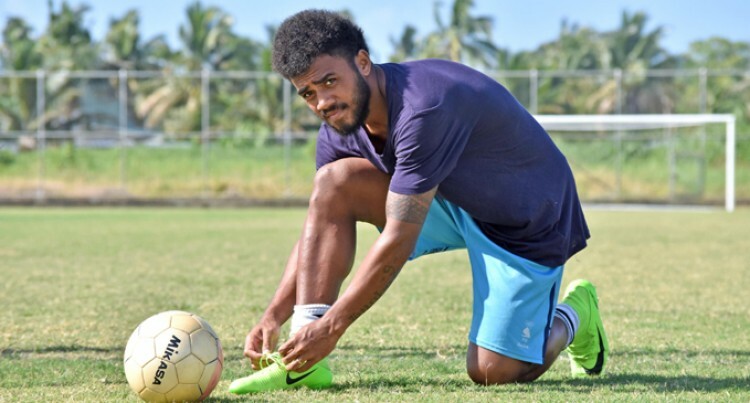 The 79th edition of the country’s most prestigious football tournament in the Fiji FA calendar will kickoff on Fiji Day, Tuesday, October 10. Fiji FA chief executive officer Mohammed Yusuf said everything is going well as planned. “The Courts IDC, which began in 1938, is traditionally the most prestigious and oldest tournament in Fiji,” he said. Looking back the first IDC was staged with only five teams participating. They are Suva, Rewa, Ba, Levuka and Lautoka with the tournament being staged Suva. From 1938 to 1975, the competition was initially held on a knockout format but in 1976 pool play was first introduced. Yusuf said the tournament has growing bigger and better every year. Yusuf said this was done to make the senior division competition more competitive and to add more flavour to the tournament. “Matches in the senior competition will also be played for a duration of ninety minutes. Yusuf said the eight participating districts were determined according to their standing in the Vodafone Senior League in Viti Levu and Vanua Levu. Group A has Tailevu/Naitasiri, Nadogo, Navua, Seaqaqa while Group B consists of Rakiraki, Savusavu, Nadroga and Lami. Yusuf said Churchill Park is in tip top condition and fans could enjoy the competitive football played over the five days. Yusuf said all teams were preparing well for the big pool of prize money at stake. He said the Courts IDC pools were evenly drawn and fans could expect very competitive football amongst the eight districts. Yusuf said the fixtures were set-up in such a way that fans could enjoy the matches. He said it was hard to predict the teams that would qualify for the semi-finals next Saturday. Yusuf said it would also be the battle of coaches as all teams have recruited qualified coaches. Yusuf said the tickets were on sale from Monday and they have had a very good response. Yusuf confirmed that there would be free entry for spectators wishing to witness the IDC senior division matches which will be played at Nadovu Park in Lautoka. “Exciting times and matches await the fan,” he added. Yusuf said there would be winners and losers but he encouraged players and officials to show true sportsmanship and make football the ultimate winner.